Patong Beach is Phuket's main beach and we are in the center of large number of shops, bars, restaurants and entertainment options., Phuket Town is easily reached by bus ride in 20-minute airport is 45 minutes away (we also arrange private airport pick-up for a regular rates). The designer decor with terra-cotta tiled floor is literally sprinkled with antique teak furniture and there is an abundance of teak and marble all around. Even if we are in the center of Patong Beach, our street is very quiet even if the hotel is centrally located between the two main entertainment area , the beach is only 5 min stroll away from the hotel, as well as all the first necessary shops. 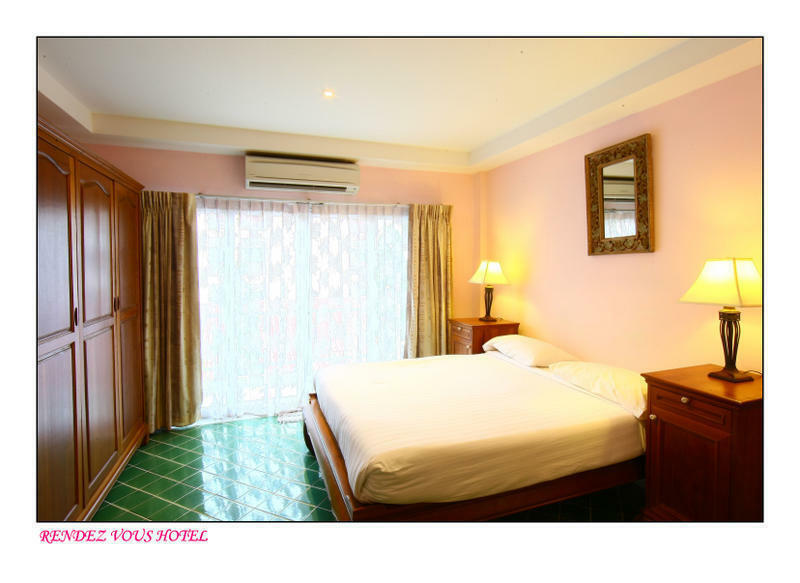 Rendez Vous Hotel is in Paradise complex, on Rat Uthit road, Patong beach. Paradise complex is a big square with a 'way-in' and 'way-out'. We're on the way-in about 30M from the beginning of the street on right hand side of the 'way-in'. We can provide transfer from airport to hotel at very affordable rates upon request.